In the Lehigh Valley News Group, every editor had to write a weekly column for their paper. Mine covered everyday life. Sometimes this meant deep topics and sometimes this meant home life. 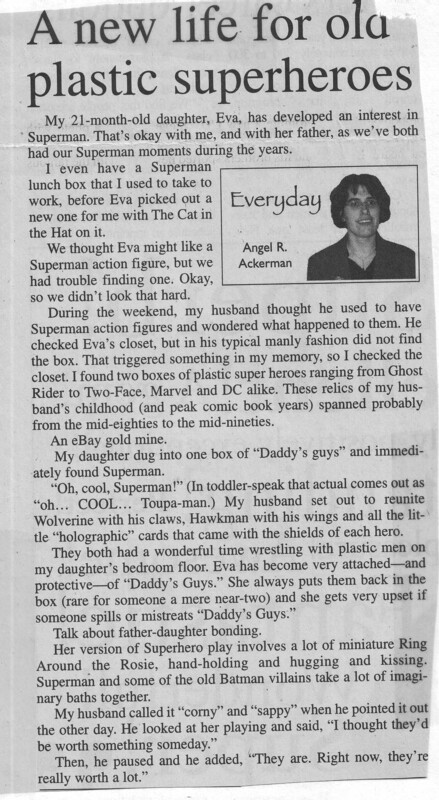 One day my husband and I sought out his old plastic comic book action heroes and what happened after that… Well, this column brought tears to my eyes.